This Light Award is sponsored by Divorce Mediation of Utah and processed through Kiva.org. 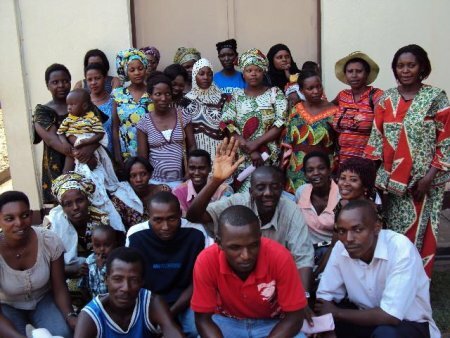 Emmanuel Hicuburundi is a 53-year old entrepreneur who lives in the Cibitoke neighborhood of Mairie de Bujumbura. He purchases fabrics to make different types of outfits from and sells the outfits the Centeral Market of Bujumbura. He has been in this business for 25 years. He has finished middle school. He is now on his seventh group loan with Turam. He is the father of seven children. He is seeking a loan from Kiva to boost his capital in order to purchase more cloth for outfits to be sold and thus to grow his savings. He prefers to take out a loan from Turame since the income made possible through this income allows him to provide for his family, including the payment of his children’s school fees. He belongs to the “Umugisha” community group.